Embrace Change. Seize Opportunities. Grow Business. Gilat offers service providers an end-to-end VSAT network, including our multi-service hub platform, a rich portfolio of high-performance VSAT terminals and a comprehensive network management system. 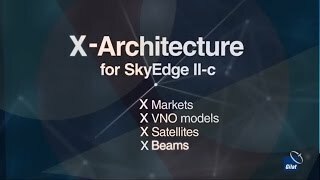 Our versatile cloud-based SkyEdge II-c hub platform is powered by Gilat’s distributed and flexible X-Architecture. 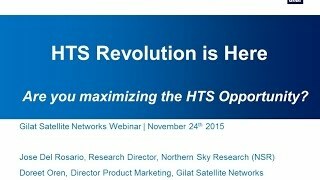 Optimized for HTS, this scalable architecture enables service providers to address their current and future needs with a single, cost-effective platform. A single remotely controlled network management system, TotalNMS, lets providers introduce services, maintain the network, and optimize network resource utilization. 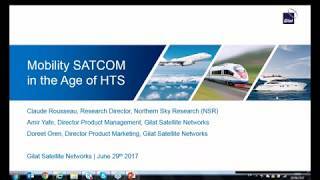 Our market-leading VSAT technologies and solutions enable service providers to support a wide range of markets. Our products are tailored to meet the needs of mobility applications, enterprise and consumer broadband access, cellular backhauling and more.